Su Ha, Subhanshu Gupta, l-r, examine a biofuel cell. 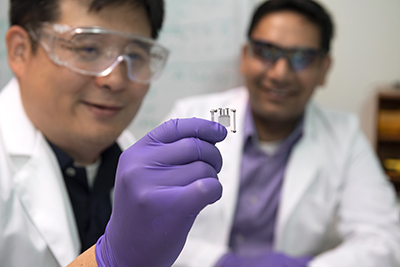 PULLMAN, Wash. – Researchers at Washington State University have developed an implantable, biofuel-powered sensor that runs on sugar and can monitor a body’s biological signals to detect, prevent and diagnose diseases. Their work recently was published in the IEEE Transactions on Circuits and Systems journal. Su Ha and Subhanshu Gupta, holding a biofuel cell. 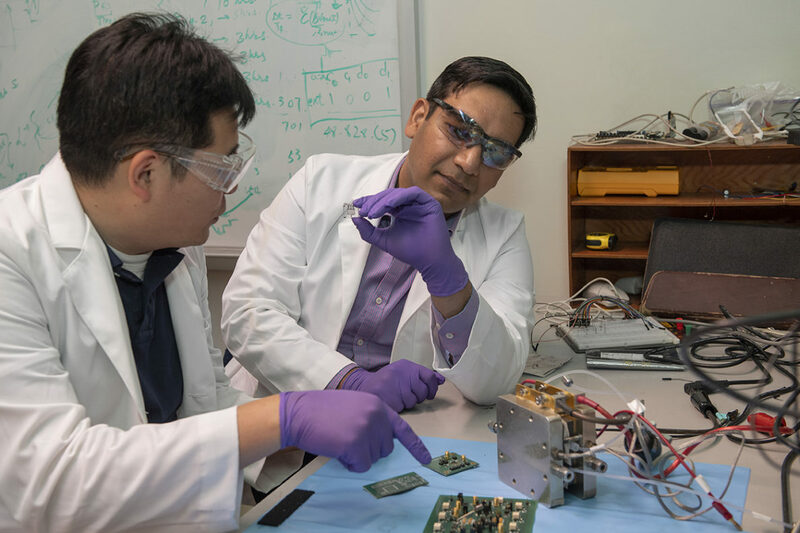 The research team also included Yuehe Lin, Annie Du from the School of Mechanical and Materials Engineering, and Martin Schiavenato, formerly with WSU’s College of Nursing and now with Walden University. The project to develop the sensor was funded by a WSU Grand Challenges seed grant.